A few years ago I told a friend that Atlanta was a great place to live, but I wouldn’t want to visit here. That’s changed; there’s a lot to do here now and I’ve enjoyed having the ability to take a break from my normal routine and play tourist in my hometown. We played tourist this weekend by renting bikes and going for two long bike rides on the Atlanta Beltline. When it’s finally complete, the Beltline will be 22 miles of trails and parks circling Atlanta. For now, there are 4 separate sections: the Eastside Trail, the Westside Trail, the Northside Trail, and the Southwest Connector Spur Trail. We biked on the Eastside Trail, which is the longest and oldest section of the trail. You can have fun on the Eastside Trail alone or with kids and regardless of your fitness level. In fact, because of the crowds of families walking along, this is really no place to try to break speed records (although some people, sadly, try). 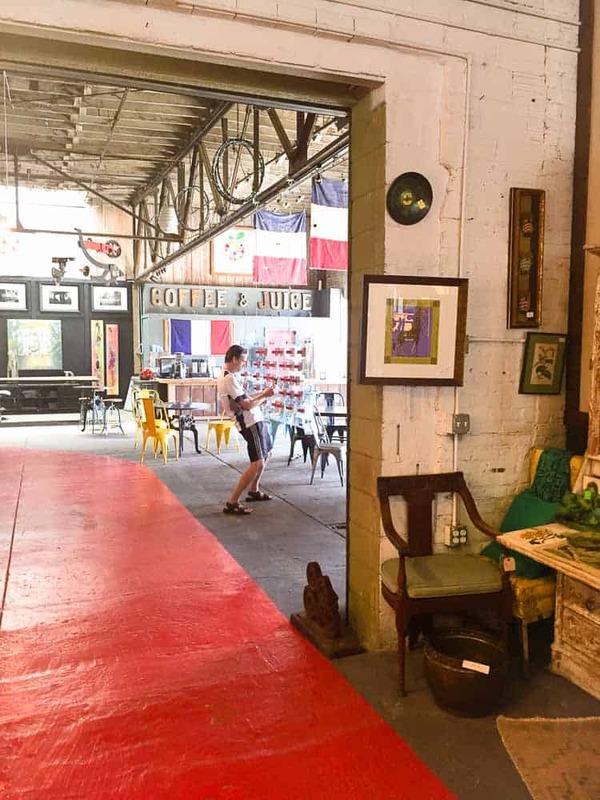 We entered the trail at Irwin Street, just a block down from the new Krog Street market, which is an excellent place to stop before or after your ride. 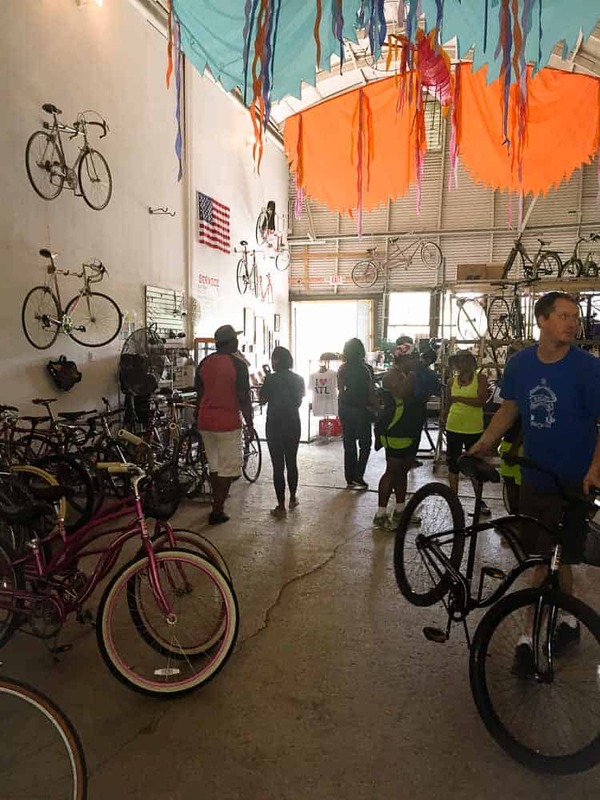 You can easily rent bikes right at the beginning of the beltline at Atlanta Beltline Bicycle, although beware: they don’t take reservations and can be very popular on weekends. We waited 15 minutes the first time we rented a bike and 30 minutes the second time; not horrible, but not insignificant. Once you get your bike, the world’s your oyster. On our first ride, we rode 2.25 miles down the beltline, enjoying the art installations along the way, to Piedmont Park and then rode for about 30 minutes on the trails within the park. When we got hungry, we exited the park on the Piedmont Rd side and had an excellent lunch at Nook, a restaurant directly across the street from the park. The more fearless could choose to ride just a block up 10th street into Midtown, where there are a number of choices to choose from, but one of us was afraid to bike on the street (me) so we stayed at Nook. It doesn’t matter because Nook was an awesome choice. 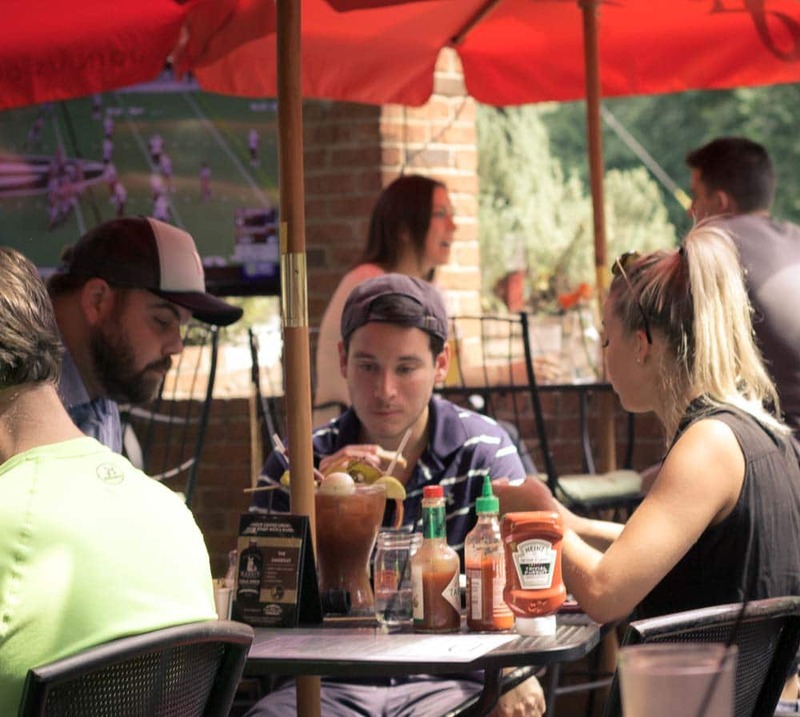 We wisely stayed away from “The Bloody Beast”, a giant Bloody Mary containing, among other things, steak, a hard-boiled egg, and a piece of toast. I did have a delicious spinach salad and the service was friendly and efficient. Here’s a pro-tip. 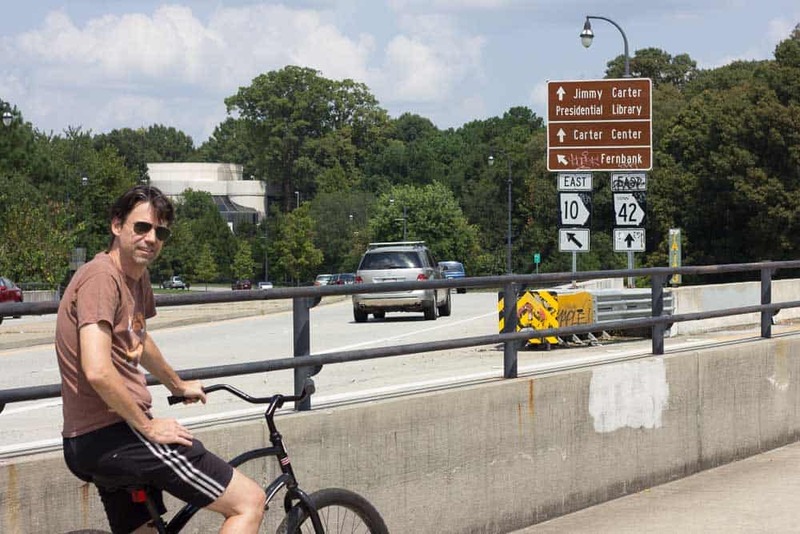 If you’re going to use your bike to go around Atlanta — and I can totally see a fun day doing just that — you might want to invest in your own bike lock for your bike. They aren’t provided with your bike and Atlanta, like all big cities, does have a problem with theft. 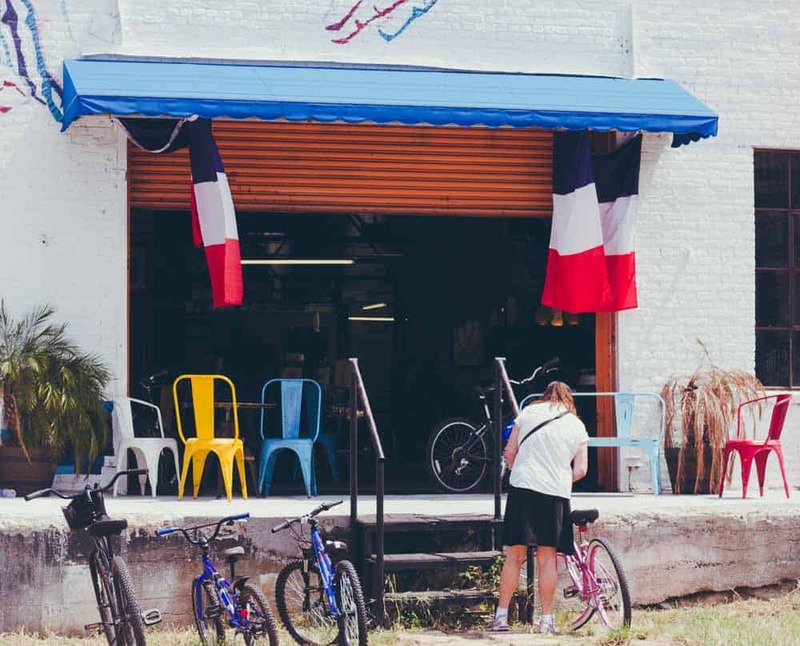 We headed back to the bike rental spot after lunch, taking a bit of time for a quick stop in one of my favorite stores, Paris on Ponce. 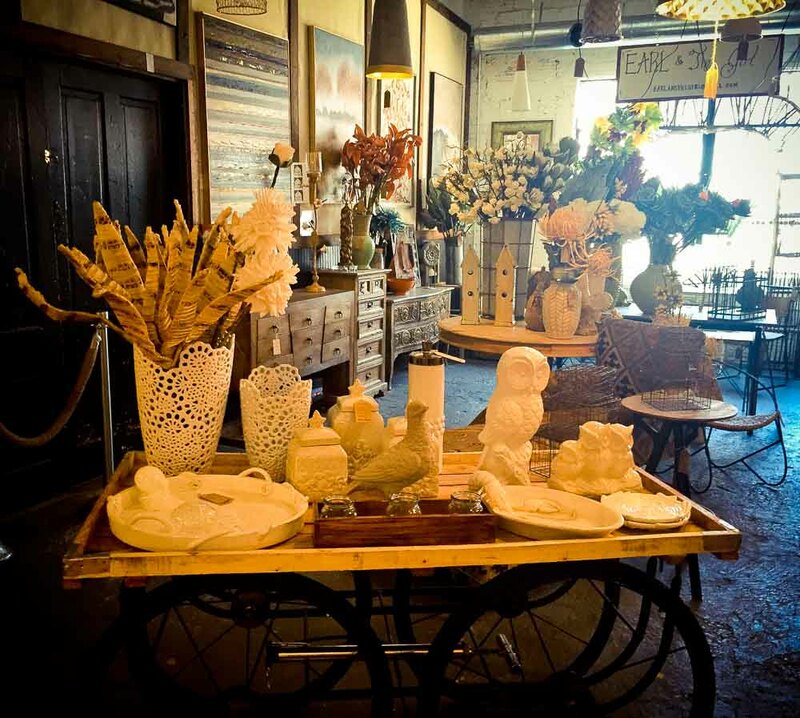 This huge store should be a stop on any Atlanta tourist’s itinerary; you could easily spend an enjoyable afternoon in here looking at all their curiosities without spending any money at all. I’ve spent plenty of money in here, though; somehow it just happens. We had such a good time our first day that we went back for another ride the next day. The beauty of the Eastside trail is that it connects to another trail, the Freedom Parkway Trail. We could have taken this trail all the way to Stone Mountain, approximately 18 miles away, but I don’t think we were ready for that on our second day. 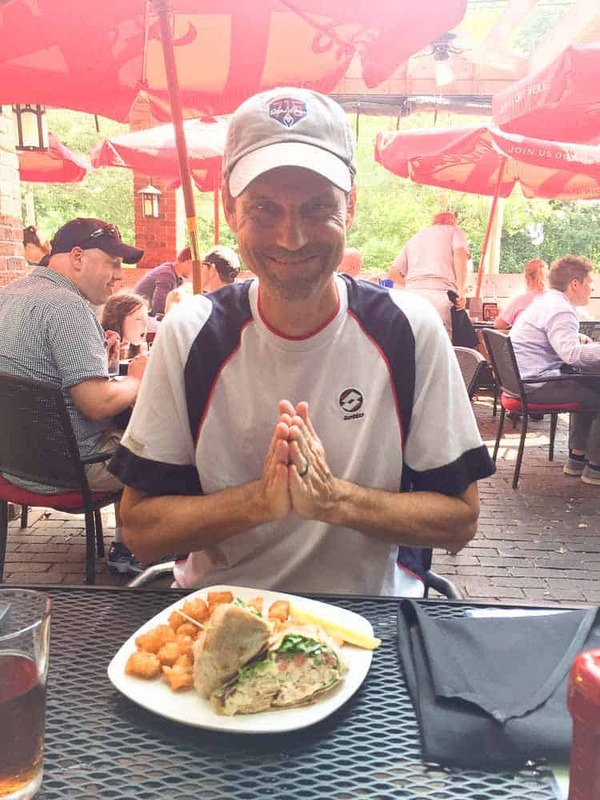 Instead, we simply meandered around, enjoying the fewer crowds on the Freedom Parkway Trail and dipping back onto the beltline when we got tired of the more rigorous hills of the Freedom Parkway Trail. We spent a much longer time biking this time, about three hours, stopping only for a wonderful, but incredibly ill-advised, margarita at F.R.O.G.S. Cantina which leads me to my second pro-tip: when you have been biking for a while and need to bike a bit longer, avoid alcohol. 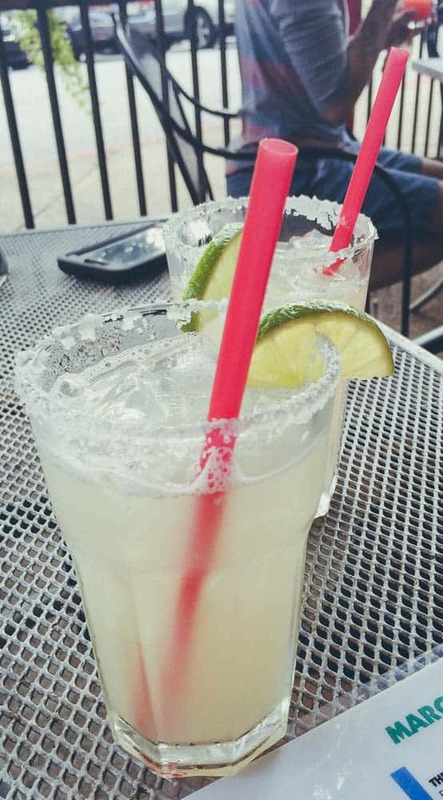 Bike or margarita – you cannot have both. Katy, thanks so much for sharing this extremely interesting article on #TheLeisureLink! I just love the photos and the useful information! Hope to see you back next week!